We're not quite sure what to expect from the Stormtroopers in the new Star Wars films, including The Force Awakens, but we do have a few guesses... They'll still have a clunky helmet on their domes. And we're guessing that it's still going to give them really poor aim! Even though they were the same brainwashed mercenaries for the First Order in Episode 7, we're sure you'll love being a new and updated Stormtrooper. Outfit your costume with this authentic Episode 7 helmet, and you'll be ready to take part in a brand new adventure against the rise of the Resistance! 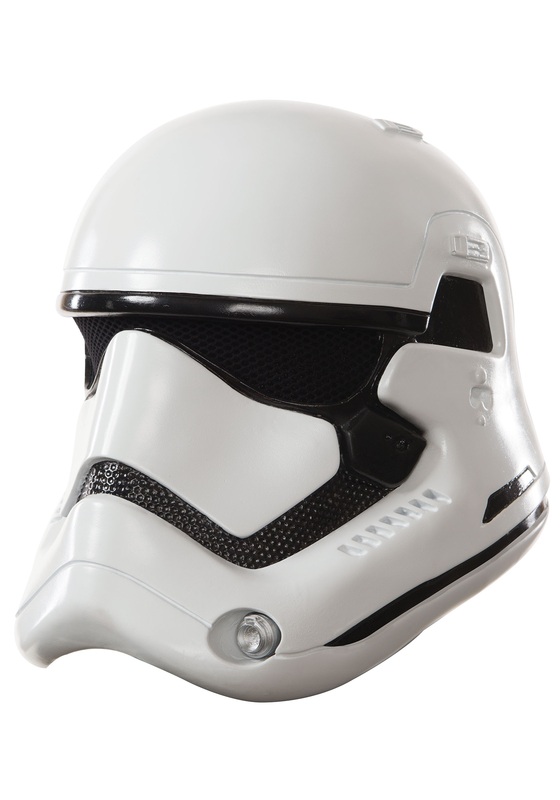 This officially licensed Stormtrooper mask is made from rigid, molded plastic front and back pieces that snap together for a comfortable fit. Also adding a little comfort to this Stormtrooper mask is the internal foam pieces. I mean, you can’t fight off the talented Resistance pilots if you’ve got to wear an uncomfortable helmet, can you? This broke after first use. Would not recommend it. Very cheap!